Manila, Philippines - Lorenzo Cinco performed One Direction's hit song "What Makes You Beautiful" during the blind auditions of ABS-CBN's top-rating singing reality show aired on Saturday, June 14, 2014. 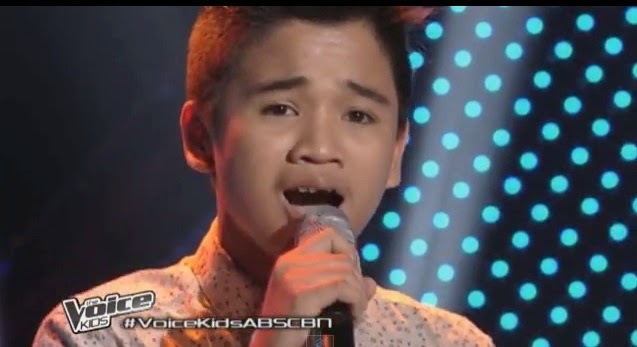 The 13-year-old kid from Cagayan de Oro City wowed judges Lea Salonga and Bamboo Manalac. Lorenzo picked Team Lea. The Saturday's episode of 'The Voice Kids' dominates online conversations with '#VoiceKidsABSCBN' among the trending topics.